Lowe’s if offering another workshop for the kids this weekend. Preregister so you kids can make a helicopter this Saturday, July 25 from 10am – 11am. Click Here for more info. Thanks, Mummy Deals. Mummy Deals has a great post on how you can get some FREEBIES from Ace Hardware during the moth of July. Caulk FREE after $2.99 MIR. Limit 1. See Mommy Deals post Here. Take these offers seriously, they send out some great coupons. Go to Lowes this weekend (July 11, 2009 10am – 11am) to build a Treasure Chest in their Kids Build and Grow Clinic. Sign up Here. I had a great day at Home Depot today. First, I ran into Stephanie at Coupon Saving Game – it was so nice to see a fellow bargainer at such a great store. I was so proud of myself for being seven months pregnant and taking the baby and going to buy needs in a “manly” store. First, I picked up some things for the grill. – Did you know Home Depot takes competitor coupons. It was great, I used my Ace $5/$20 coupon – a 25% savings! Second, I had ordered a washer and dryer from Hhgregg a few weeks ago. I wanted to check out the fourth of July sales at Home Depot because Hggregg WILL MATCH and give you and EXTRA 10% of any price lower than theirs! I was fortunate that Home Depot had BOTH the Washer and Dryer cheaper. I got enough money back to get the drawers for the washer and dryer for 1/8th of the price. I used the 10% off coupon from the Home Depot Garden’s Club! 1) Sign up for the great offers when they come – Garden Club is not availabe any more. 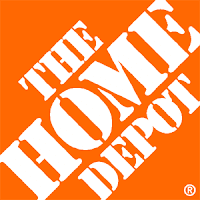 2) Sign up for the Home Depot Moving Club – see icon below. Update: The paint went super fast, now visit Glidden’s website to get a $5 rebate if you missed this opportunity! Thanks Amy. Don’t forget begninning June 25 – Glidden National Paint is having an amazing Giveaway. Glidden is giving away a free quart of paint to help get summer going. Make sure you check their site June 25th to fill out the forms to get your paint! More info Here. Offer ends July 2 or until supplies run out. If you are having trouble getting the website to work, you can call 1-800-GLIDDEN to get their free quart of paint today! 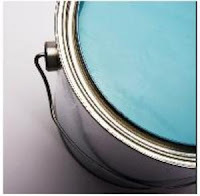 They have a specific option just for ordering your free paint….but know the color you want! Thanks, Mama Cheaps.